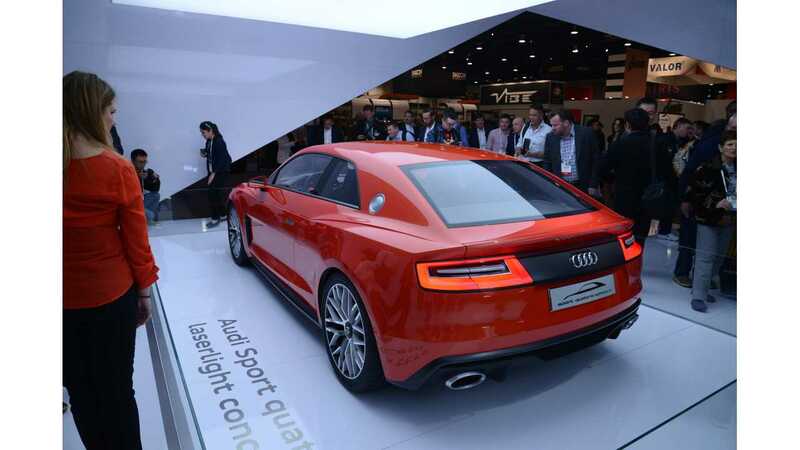 Audi recently unveiled its Sport Quattro Laserlight Concept at the International Consumer Electronics Show in Las Vegas, Nevada. 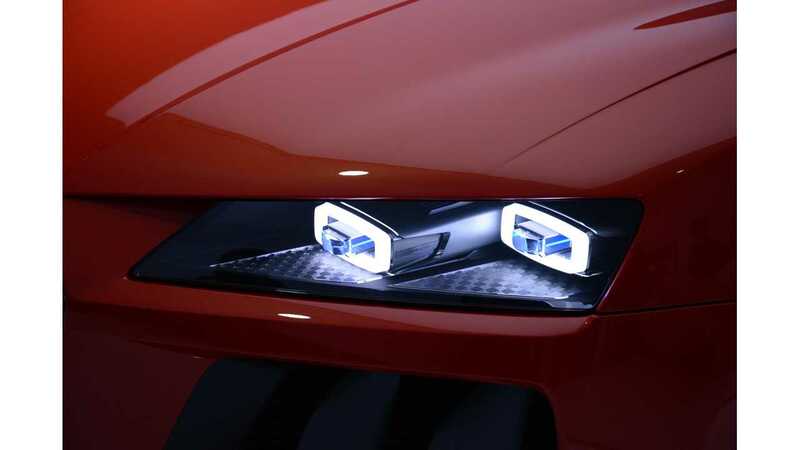 As the name indicates, the center of attention for this concept is laser headlights, but from the announcement we also know that it has plug-in hybrid drivetrain with e-tron technology. Over half MW of power and 800 Nm (590.05 lb-ft) of torque makes an impression, but this is a very complicated piece of machinery with a modified eight-speed tiptronic gearbox. 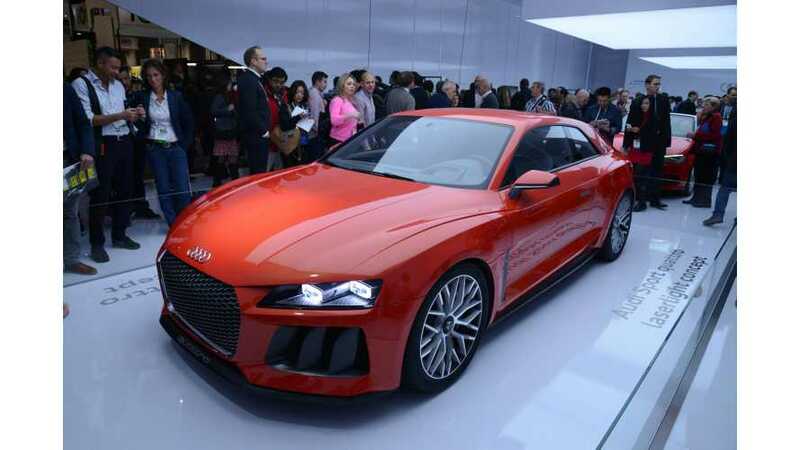 The electric motor itself puts out 110 kW, which is about a one fifth of total power. 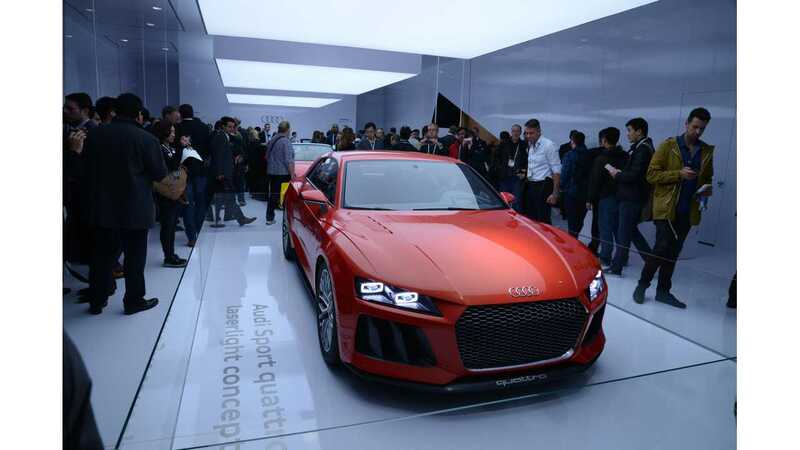 Audi says that the 14.1 kWh battery pack will enable one to drive up to 50 km in all-electric mode.